Boston is one of the oldest and most popular cities in the country, boasting varied neighborhoods, outstanding dining, recreation, entertainment, sports, and so much more. What many know is that Boston's charms extend beyond the city proper itself, and with easy access to the MBTA (Boston's subway, also know as the "T") and commuter rail public transportation from several areas, you can afford to live in the greater Boston area and experience all the city, and its suburbs, have to offer. Below is a brief description of a few of these areas. For more information on which Boston neighborhood, Boston suburb, or Massachusetts town is right for you, contact me today. Having lived, worked and explored in this area for years, I can be your guide to the greater Boston area. Downtown Boston includes Downtown Crossing, the Financial District, and Government Center. Surrounding downtown are the neighborhoods of Chinatown/Leather District, South End, North End, West End, Bay Village, Beacon Hill, and Back Bay. 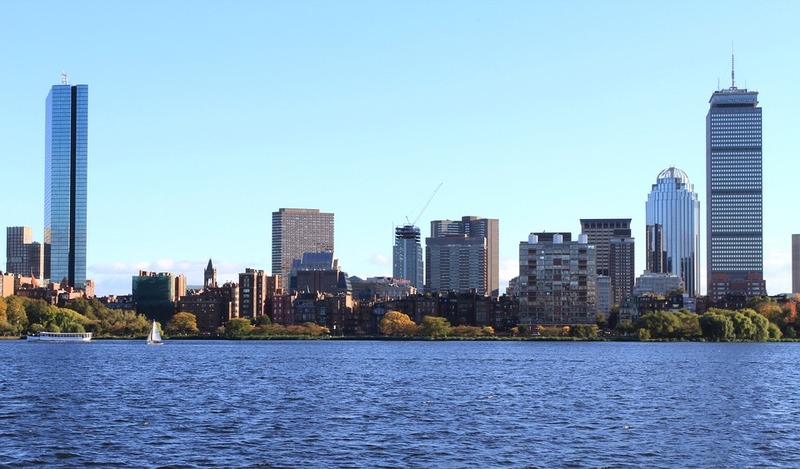 Young professionals typically flock to the South End and North End for their eclectic vibes and more affordable housing, while the Back Bay, west of the Public Garden and Beacon Hill, is an affluent neighborhood. The Back Bay and Beacon Hill are home to a mix of politicians, famous authors, athletes, business leaders and professionals. Bay Village is one of the smallest neighborhoods in Boston and contains beautiful row houses of the Greek-Revival style. North and east of downtown are the neighborhoods of East Boston and Charlestown. Charlestown's popularity has grown tremendously and its now home to many young professionals and families. West of downtown are the neighborhoods of Fenway, Kenmore, Allston, Brighton and Mission Hill, populated largely be students from Boston University, Boston College and others. South of downtown are the neighborhoods of Roxbury, Jamaica Plain, Dorchester, Mid Dorchester, and South Boston. Dorchester, including Mid Dorchester, is Boston's largest neighborhood and predominantly a working class community considered to be Boston's most diverse. South of Roxbury, Jamaica Plain, and Dorchester are the neighborhoods of Mattapan, Roslindale, Hyde Park, and West Roxbury. These areas feel more like suburbs and have larger areas for recreation, including multiple parks, although they're still considered part of the city of Boston. The South Shore of Massachusetts stretches south and east from Boston toward Cape Cod along the shores of Massachusetts Bay and Cape Cod Bay. It includes Norfolk and Plymouth counties and its largest city is Quincy. Quincy is Boston's immediate southern suburb and calls over 93k people home, making it the 8th-largest city in Massachusetts. Quincy is extremely popular among young professionals and families due to easy access to the city, proximity to beautiful beaches, historic homes, parks, and its affordability - many properties include yards and parking, novelties that are difficult to find in Boston proper. The North Shore of Massachusetts stretches roughly from Boston to New Hampshire, along a coast of marshes, wetlands, beaches, natural harbors, quaint towns and more populated suburbs.